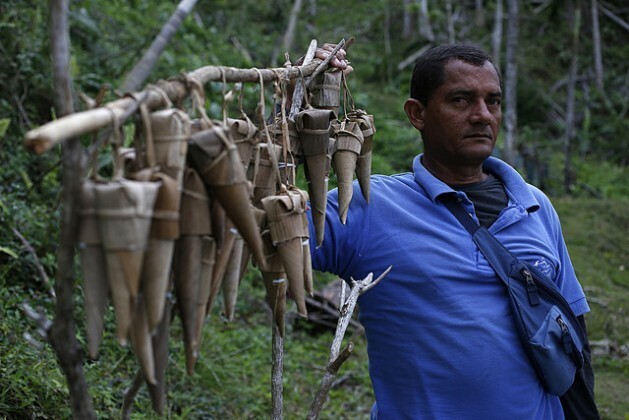 BARACOA, Cuba, Apr 18 2017 (IPS) - Early in the day, when a gentle dew moistens the ground and vegetation in the mountains of eastern Cuba, street vendor Raulises Ramírez sets up his rustic stand next to the La Farola highway and displays his cone-shaped coconut sweets. 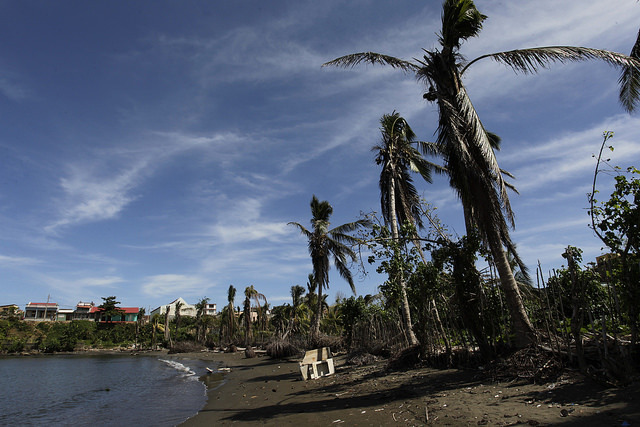 “These will maybe be the last ones… the cones will disappear, because the hurricane brought down all the coconut palms in Baracoa,” the 52-year-old private entrepreneur told IPS. He makes a living in Cuba’s oldest city selling this traditional sweet made of coconut, honey, fruits and spices, wrapped in the fibrous cone-shaped palm leaf. “Look at all this!“ exclaimed Ramírez, pointing to the ground next to the highway littered with the trunks of coconut palm trees knocked down or bent by Hurricane Matthew, which hit Baracoa and other parts of eastern Cuba on Oct. 4-5, 2016. He expects to continue making his sweets for a while longer thanks to his reserves. His main customers are Cubans who pay the equivalent of 25 cents of a dollar for each “cucurucho” or coconut cone, a typical sweet of this municipality, with an agricultural sector based on coconut and cacao, among other products. When his coconut reserves are finished, he will have to look for a different source of income than the one that has sustained his family for the last five years. “The tourists like to buy dried fruit,” he said, referring to the growing influx of foreign visitors in the area. Ramírez’s situation is in some way similar to that of the entire agri-food sector in this municipality with a population of 81,700, which is facing a tough challenge: recovering their main long-cycle crops that were ravaged by the strongest hurricane ever registered in the province of Guantánamo, where Baracoa is located. “We estimate the shortest possible time for coconut production to recover is four years, while cacao will take two and a half years. But reforestation will take many more years, between 15 and 20,” said Baracoa Mayor Luis Sánchez, referring to the fundamental components of local economic development: cacao, coconut, coffee and forestry products. In the affected territories in Guantánamo, agriculture was among the hardest-hit sectors, with 70,574 hectares damaged. According to official reports, 27 per cent of the cacao, coconut and coffee plantations and 67 per cent of the forest heritage was lost. The hurricane damaged 35,681 hectares of the main crops in this mountainous coastal municipality. Only four per cent of the vast plantations of coconut palm trees are still standing, which were used to obtain part of the seeds vital to the recovery effort. “In small areas on the outskirts of the city some coconut palm trees still remain on private farms and in people’s yards, which are the source of the coconuts vendors are using to make their cones, but the state-run factory is not producing any,” Rodríguez said, about the temporary disappearance of this symbol of Baracoa. The factory, the only one that made coconut cones and distributed them in the provinces of Guantánamo, Santiago de Cuba and Holguín, is now producing tomatoes and fruit brought from other parts of the country. The cocoa industry is still active, even producing several by-products, thanks to reserves of cacao. So far, only 3,576 hectares of forestry, coconut, coffee, cacao and fruit plantations have been recuperated, since the authorities are putting a priority on “the areas dedicated to short-cycle crops to quickly obtain food, such as vegetables and fruits for domestic consumption,” said the mayor in an exclusive interview with IPS. “Baracoa, the cacao capital” reads an enormous poster at the entrance to this city founded 505 years ago by Spanish colonialists. Alongside coconut cone vendors like Ramírez, men and women sell big scoops of home-made dark chocolate along the La Farola highway. Hurricane Matthew thwarted a project to create production chains based on coconut and cacao, with investments to foment cultivation of the crops and modernise the food industry in the municipality. The initiative hoped to tap into other potential sources of income, especially using coconuts. The current production based on coconut and cacao does not cover domestic demand in this country of 11.2 million, nor demand from international tourists, who reached the record number of four million in 2016. 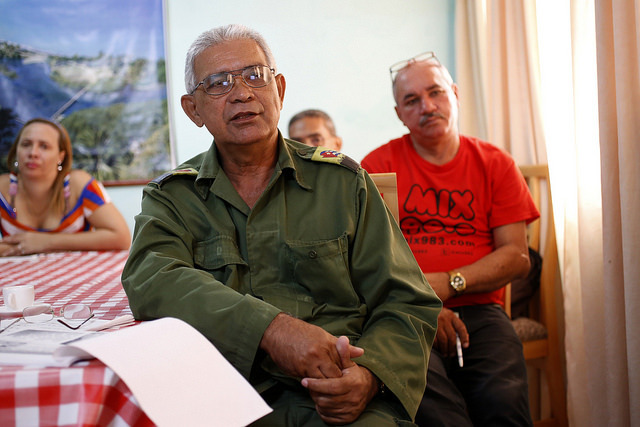 “Meanwhile, we have to provide the local population with support to produce staple crops and provide new sources of income, until the commercial perennial crops begin to produce,” advised Theodor Friedrich, representative of the United Nations Food and Agriculture Organisation (FAO) in Cuba. He told IPS that to this end, FAO is supporting several initiatives for agricultural and food production recovery in the area affected by Matthew, through two projects financed by the United Nations’ Central Emergency Response Fund (CERF) and FAO resources. In addition, it is awaiting the approval of a bigger third project financed by a donor. “There is an urgent need to recover the most commercial crops, to avoid delaying this process,” said Friedrich, an agronomist who advocates the need of restoring them with resilience to future climate shocks. “In part, these crops can be used to intersperse food crops and integrate new crops with their corresponding value chains,” he said. In the case of the territories affected by the hurricane, and together with the local authorities, FAO promotes the proposal to plant drumstick or horseradish trees (moringa oleifera) among the perennial crops, a fast-growing, drought-resistant tree which provides a micronutrient-rich ingredient used to fortify food and animal feed, while also offering a natural fertiliser for the soil. This initiative can strengthen small industries in the area involved in the manufacturing of fortified foods and in livestock production. “It will increase the production and availability of high value-added foods, while at the same time providing a financial income to farming families,” said the FAO representative. The government of Baracoa also identifies another economic option for local residents. In the area, government-run hotels and other lodgings offer at total of 275 rooms, and another 367 rooms are available in 283 private houses, where the number of rooms offered has climbed to cater to the current tourism boom. Near Baracoa’s seafront, retiree Dolores Yamilé Selva’s hostel, which she has run since 1998, is full. She believes that there is still untapped tourism potential in the area. “The tourists that come to our town, mainly from Europe, is interested in our natural surroundings,” she told IPS.